Cornelius Peterson was sentenced to 20 months in prison as a co-conspirator to Polese. The SEC has also filed cases against both brokers, accusing them of violating the Securities Exchange Act and the Advisers Act. This agency sought to compel both to disgorge their “ill-gotten gains.” Although that case has been solved with Peterson, Polose’s is still pending. Polese apologized to his victims, his children, and his ex-wife. His attorney stated in court that as a result of his crimes that he had “lost everything.” Stockbrokers are generally prohibited from engaging in outside business activities with customers. Silver Law Group represents investors in securities and investment fraud cases. Our lawyers are admitted to practice in New York and Florida and represent investors nationwide to help recover investment losses due to stockbroker misconduct. Most cases handled on a contingent fee basis. This means that you won’t any pay legal fees unless we are successful. Call us toll free at 800-975-4345, or use our online contact form to get in touch. 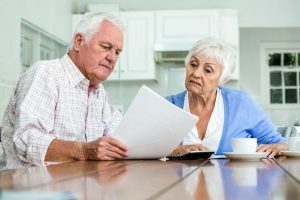 Additionally, Silver Law Group routinely represents elderly investors in investment fraud cases and also maintains a website at www.elderfinancialfraudattorneys.com with additional information.